Having started from the mid-1900’s, trekking into dense rainforests in search of the elusive mountain gorilla has become a highlight for many adventurers. We take a look at the fascinating history and development of mountain gorilla tourism and how it has helped support conservation projects and increase the awareness of these critically endangered creatures. In October 1902, German explorer Captain Robert Von Beringe discovered these gigantic creatures on the ridges of the Virunga Mountains. The initial interest in the gorillas were mainly scientific as zoologists attempted to classify and accord them the respective naming, although later need for their conservation became apparent. In 1967, the famous American primatologist, Dian Fossey, arrived in the Virunga range and established her research station in the Rwandan gorilla safari destination of Volcanoes National Park. Her extensive research about gorillas was immense and her records are still referred to in present day research. 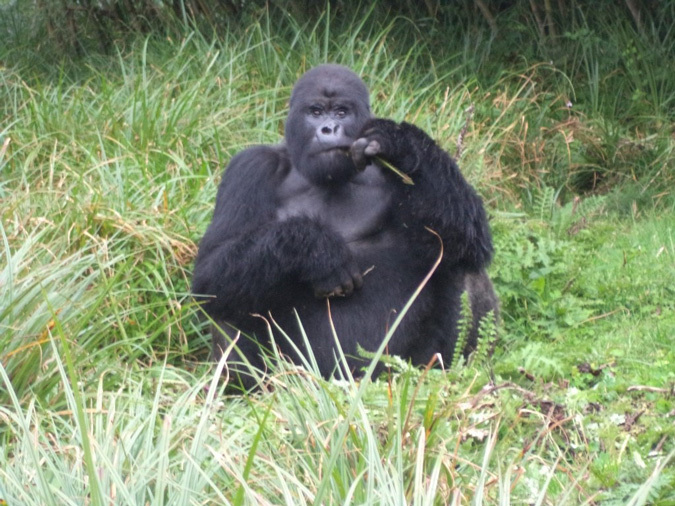 The mountain gorilla tourism in Africa gained momentum in the 1990s when the respective countries embarked on rigorous habituation exercise of selected gorilla groups. 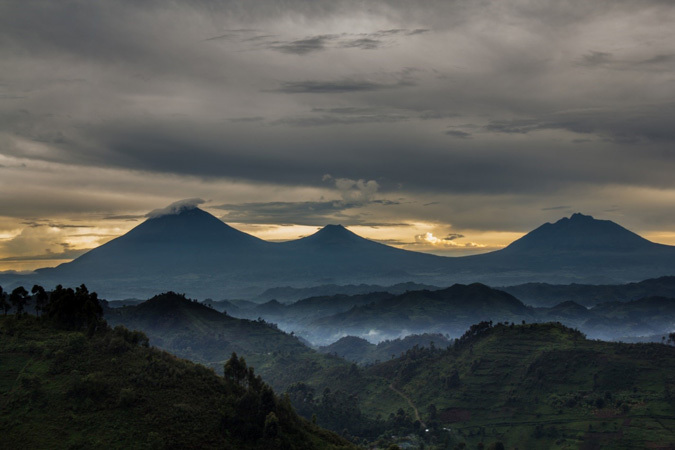 Uganda, for example, started with the two-year habituation of the Mubare gorilla group in the Buhoma region of Bwindi Impenetrable National Park from 1991 to 1993. 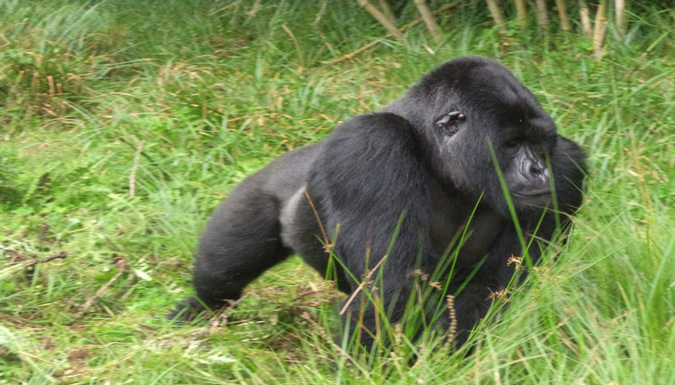 Today, there are 12 fully habituated groups in Bwindi alone, and one in Mgahinga Gorilla National Park, while the two others are undergoing habituation in Bwindi. 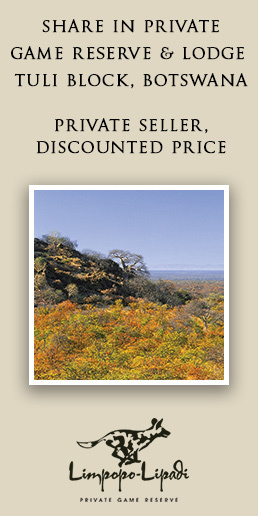 These concerted efforts have in return stimulated memorable gorilla trekking safari tours in Uganda, Rwanda, and the DRC. 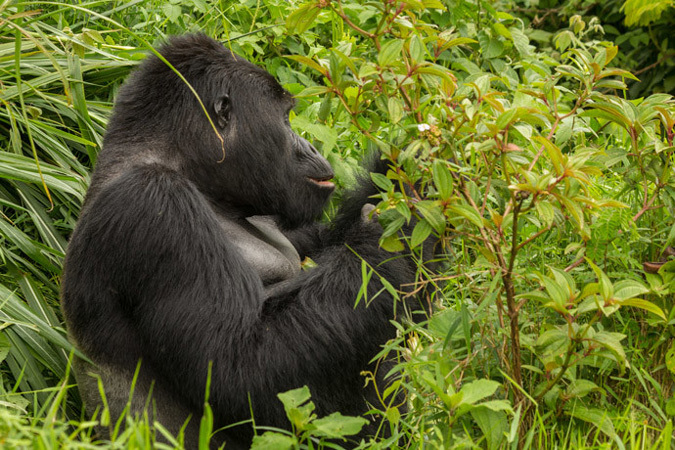 The habitats in which these mountain gorillas thrive are unique and remarkable. The hilly, dense forested landscapes with narrow valleys and steep slopes covered by mist make the gorilla trekking safaris an experience beyond just seeing the majestic animals. Their area of abode lies in the Albertine Rift which is renowned for its bird species such as the African green broadbill in Bwindi – one of the prime forest birds sought after by birders while on birding safaris in Uganda. Not only has gorilla tourism increased the awareness of these critically endangered apes world over, the finances gathered from the sale of gorilla permits support conservation activities and provides surrounding communities with alternative livelihood programmes. This in turn ensures the survival of mountain gorillas. With the increasing public and private investment in tourism infrastructure, such as transport and accommodation, one can agree that gorilla tourism is set to thrive for a very long time. You can book all your gorilla safaris in Rwanda, Uganda, and the DRC through us and we’ll arrange your safari adventure of a lifetime!